Last Man On Earth Friggin Turd T-shirt Charcoal Adult Unisex 60% Cotton/40% Polyester Short SleeveCategory: Heavy Cotton CharcoalLAST MAN ON EARTH Short Sleeve casual tee shirt with graphic printed FRIGGIN TURD designQuality fashion apparel, perfect tshirt for every day, gym workout, or pajama shirt60% Cotton/40% Poly machine washable great Birthday, Christmas, special gift for a LAST MAN ON E fanGreat gift for husband, boyfriend, son, grandson, wife, mother, girlfriend, daughter, granddaughterOfficially licensed clothing, graphic is expertly printed directly on the front of the garmentEXPRESS BEYOND with this LAST MAN ON EARTH tee shirt. A casual shirt with its irresistible graphic printed FRIGGIN TURD design, this shirt is great for every day, at the gym for a workout, or as a comfy pajama. 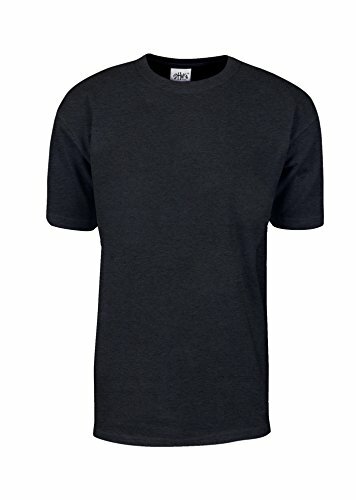 These short sleeve tees make a perfect gift for a man (husband, boyfriend, son, grandson, uncle, nephew) or a woman ( wife, mother, girlfriend, daughter, granddaughter, aunt, niece ) and will be remembered for a long time.HIGH QUALITY that will last for years to come. 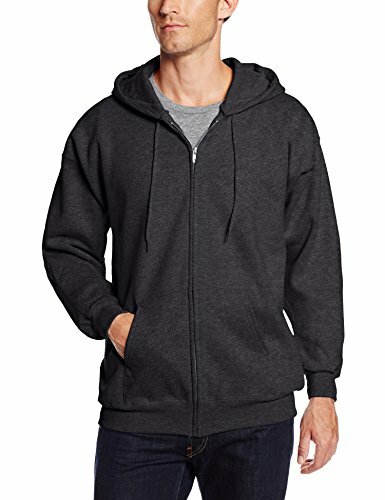 This fashion apparel is made with 60% cotton/40% polyester quality fabric that will last through many washes and features a comfortable fit. Machine wash in warm water. Do not bleach. Dry on low heat setting or lay flat.GREAT GIFT: Makes a great quality Birthday, Christmas, or special gift for your fan.OFFICIALLY LICENSED clothing. The graphic is expertly printed on the front of the garment.100% SATISFACTION GUARANTEE: We are always listening, that's how we are able to bring you the best quality. We care. 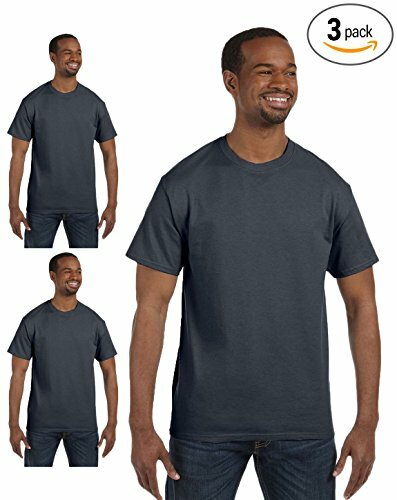 Trevco DC DETECTIVE #27 DISTRESSED Charcoal Juniors Female T-ShirtCategory: Heavy Cotton CharcoalDC Short Sleeve casual tee shirt with graphic printed DETECTIVE #27 DISTRESSED designQuality fashion apparel, perfect tshirt for every day, gym workout, or pajama shirt100% Cotton machine washable great Birthday, Christmas, special gift for a DC fanGreat gift for Girl, daughter, granddaughter, niece, or BFFOfficially licensed clothing, graphic is expertly printed directly on the front of the garmentEXPRESS BEYOND with this DC tee shirt. A casual shirt with its irresistible graphic printed DETECTIVE #27 DISTRESSED design, this shirt is great for every day, at the gym for a workout, or as a comfy pajama. These short sleeve tees make a perfect gift for a girl, girlfriend, daughter, granddaughter, niece, or best friend and will be remembered for a long time.HIGH QUALITY that will last for years to come. 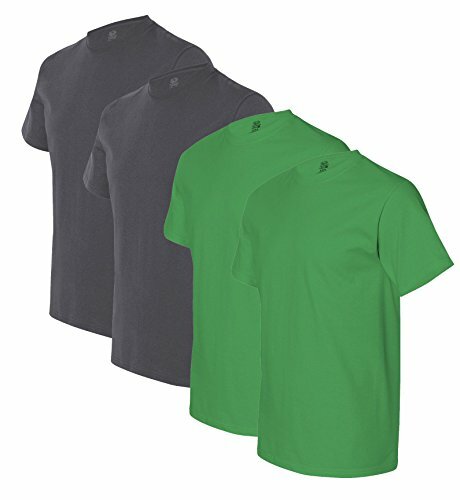 This fashion apparel is made with 100% cotton quality fabric that will last through many washes and features a comfortable fit. Machine wash separately in cold water. Do not bleach. Tumble dry or lay flat.GREAT GIFT: Makes a great quality Birthday, Christmas, or special gift for your DC Comics, DC Universe, Justice League, Justice Society of America, Suicide Squad, Teen Titans, Detective Comics fan.OFFICIALLY LICENSED clothing. The graphic is expertly printed on the front of the garment.100% SATISFACTION GUARANTEE: We are always listening, that's how we are able to bring you the best quality. We care. 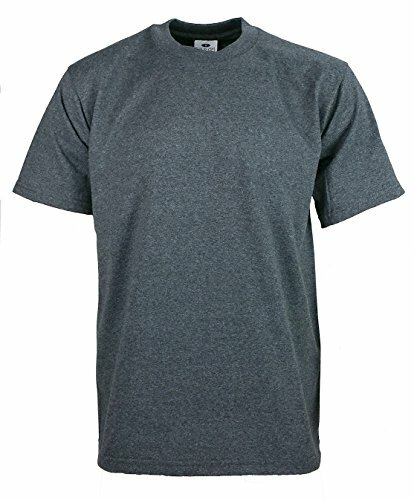 Trevco Kiss-Live Short Sleeve Adult 30-1 Tee, Charcoal - 2XCategory: Heavy Cotton CharcoalKISS Short Sleeve casual tee shirt with graphic printed KISS designQuality fashion apparel, perfect tshirt for every day, gym workout, or pajama shirt100% Cotton machine washable great Birthday, Christmas, special gift for a KISS fanGreat gift for husband, boyfriend, son, grandson, wife, mother, girlfriend, daughter, granddaughterOfficially licensed clothing, graphic is expertly printed directly on the front of the garmentEXPRESS BEYOND with this KISS tee shirt. A casual shirt with its irresistible graphic printed KISS design, this shirt is great for every day, at the gym for a workout, or as a comfy pajama. 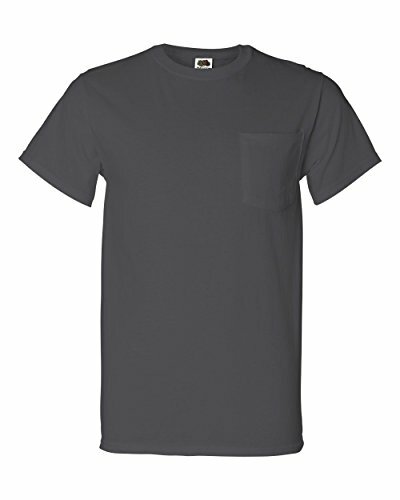 These short sleeve tees make a perfect gift for a man (husband, boyfriend, son, grandson, uncle, nephew) or a woman ( wife, mother, girlfriend, daughter, granddaughter, aunt, niece ) and will be remembered for a long time.HIGH QUALITY that will last for years to come. 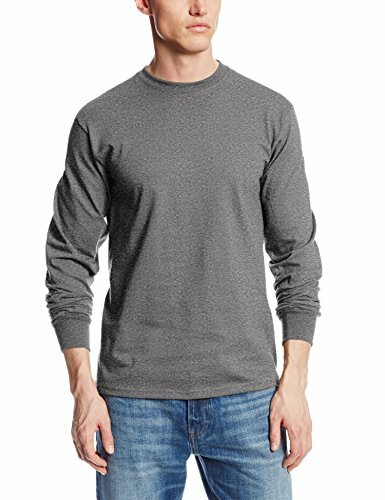 This fashion apparel is made with 100% cotton quality fabric that will last through many washes and features a comfortable fit. Machine wash separately in cold water. Do not bleach. Tumble dry or lay flat.GREAT GIFT: Makes a great quality Birthday, Christmas, or special gift for your fan.OFFICIALLY LICENSED clothing. The graphic is expertly printed on the front of the garment.100% SATISFACTION GUARANTEE: We are always listening, that's how we are able to bring you the best quality. We care. Trevco SONS OF ANARCHY SAMCRO Charcoal Adult Unisex V-Neck T-ShirtCategory: Heavy Cotton CharcoalSONS OF ANARCHY Short Sleeve casual V Neck T-Shirt with graphic printed SAMCRO designQuality fashion apparel, perfect v neck t shirt for every day, gym workout, or pajama vneck shirt100% Cotton machine washable great Birthday, Christmas, special gift for a SONS OF ANARCHY fanGreat gift for husband, boyfriend, son, grandson, wife, mother, girlfriend, daughter, granddaughterOfficially licensed clothing, graphic is expertly printed directly on the front of the garmentEXPRESS BEYOND with this SONS OF ANARCHY vneck tshirt. A casual shirt with its irresistible graphic printed SAMCRO design, this vee neck shirt is great for every day, at the gym for a workout, or as a comfy pajama. 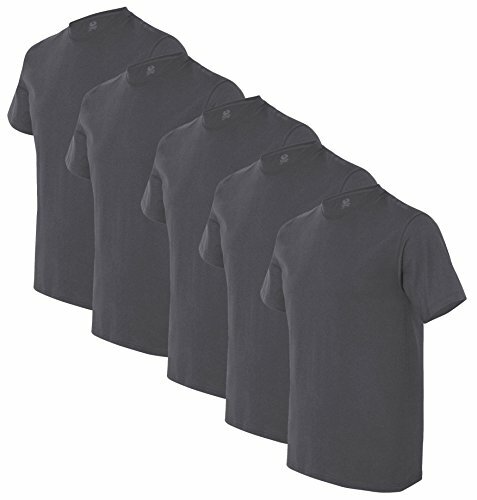 These short sleeve vee neck tee shirts make a perfect gift for a man (husband, boyfriend, son, grandson, uncle, nephew) or a woman ( wife, mother, girlfriend, daughter, granddaughter, aunt, niece ) and will be remembered for a long time.HIGH QUALITY that will last for years to come. 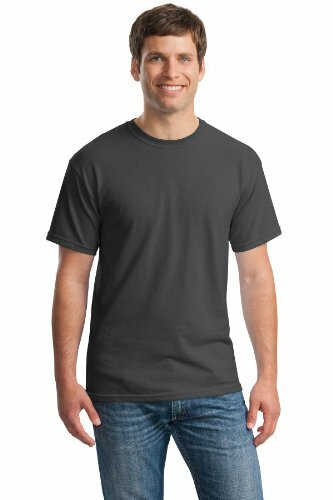 This fashion apparel is made with 100% cotton quality fabric that will last through many washes and features a comfortable fit. Machine wash separately in cold water. Do not bleach. 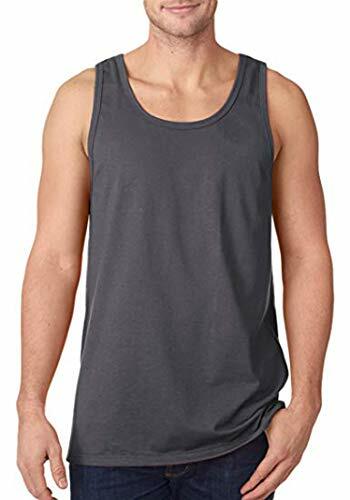 Tumble dry or lay flat.GREAT GIFT: Makes a great quality Birthday, Christmas, or special gift for your Sons of Anarchy, Charming, Jackson, Jax, Clay Morrow, SAMCRO fan.OFFICIALLY LICENSED clothing. The graphic is expertly printed on the front of the garment.100% SATISFACTION GUARANTEE: We are always listening, that's how we are able to bring you the best quality. We care. Couver Soft Cotton Ankle Toe Socks 1 Pair, Charcoal, MediumCategory: Heavy Cotton CharcoalMax Cushioning place in areas of high impact to reduce sock and foot pain during sports or daily activity. Deep Heel Pocket- Engineered heel pocket to provide true fit during wear. Arch support-Arch support to improve foot arch fatigue and keep sock in place. Reinforced heel and toe-Reinforcement in heel and toe provide durability in high stress areas to dramatically in protection your healthy. 24/7 Cotton Yarn, CharcoalCategory: Heavy Cotton CharcoalThis yarn is perfect for your next craft project. It features attractive colors and long-lasting strength. How do you choose which fabric top you want for cloth pads? Pros and cons of each to help you choose. http://www.treehuggerclothpads.com This video is made by Crystal the owner of Tree Hugger Cloth Pads. This is a video review of an item available for sale on our website which can be found here: http://fabricwarehouse.com/upholstery-fabric/all-other-upholstery/heathered-black-upholstery-fabric-bty/ This is a heavy, cotton blend upholstery fabric in deep charcoal gray with a heathered weave in a light gray. Use this for any upholstering project, from furniture to headboards and pillows. Suitable for drapery, tabletop, bag making, and other home or business decor applications.